No matter how far we travel, how many of the world’s greatest treasures and paradise places we discover, once we walk down the streets of Amsterdam, we know we’re home. An open-minded city, a city of dreams, chances and creativity, a place where anything can happen and there’s always something happening. It’s no wonder that people from all around the globe are attracted to the proud capital of The Netherlands, known for its canals, big squares, bustling shopping streets, museums, red-light district and more, much more. We love our city, and would love to introduce you to it. It’s time for you to meet Amsterdam and discover some of its hotspots. Let’s meet…Amsterdam! Find your balance at the hot and happening Westerpark. Surrounded by green, you can join one of their daily yoga classes, whether you prefer Ashtanga, Mysore, Vinyasa Flow, Yin Yoga or Yoga with children. Once you’re all stretched out, relaxed and gained new energy, you can ease down at their in-house cafe, Café Sage. They serve you healthy, vegan and vegetarian food, so you can enjoy the all-day breakfast, treat yourself to a slice of raw cheesecake, dive into the delicious spelt risotto or lunch with an avocado salad. Have a chai latte or power smoothie and daydream about the next time you’ll be booking a massage there. This is healthy lifestyle heaven, right here. Zuid | Thu & Wed | Gustav Mahlerlaan 3005 Everyone loves a toastie. And everyone knows the best toasties are made from bread that’s not fresh anymore. But most restaurants serving them, use fresh bread. And that’s exactly what De Tweede Jeugd is against. Given the fact that every single day, 130,000 breads are being wasted in The Netherlands and 5% of the daily baked bread doesn’t make it home to consumers, that’s all the right reason for this company to fighting that waste and choose sustainability. The people behind the toastie company pick up ‘old’ bread from several bakeries across town and use it to create our favourite grilled sandwich! Basically, De Tweede Jeugd is a bread outlet, with several different outlets across Amsterdam. 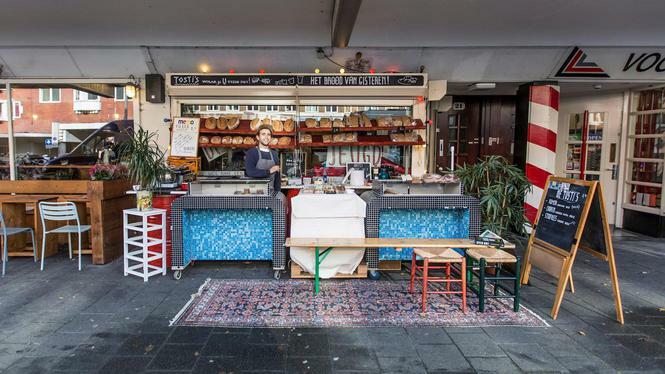 They’ve got a tostibar at the NDSM-werf, drive their mobile truck to The Baarsjes and Amsterdam Zuid during the week, but also serve their crostini’s, croutons and exotic toasties at weekend festivals in a food truck. That’s the innovative, culinary mind of Amsterdam. Set up by three childhood friends, Hutspot started as a small pop-up store in the Utrechtsestraat in 2012. Nick, Reinier and Pieter, the owners, soon discovered that their store proved to be a big success, offering entrepreneurs a chance to expose their products and people a place to be part of a unique shopping experience. Today, they offer interesting brands, designers, artists and entrepreneurs their own space within the shops, and they strive to adopt new trends early one, always one step ahead of the crowd. Each time you walk into Hutspot, you’ll be surprised. 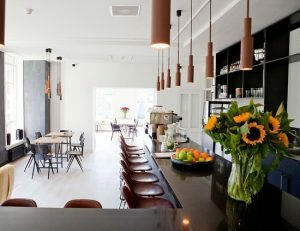 Next to the concept store, which offers a great selection of home & living, Hutspot also has its own barbershop and serves healthy bites in their lunchroom. 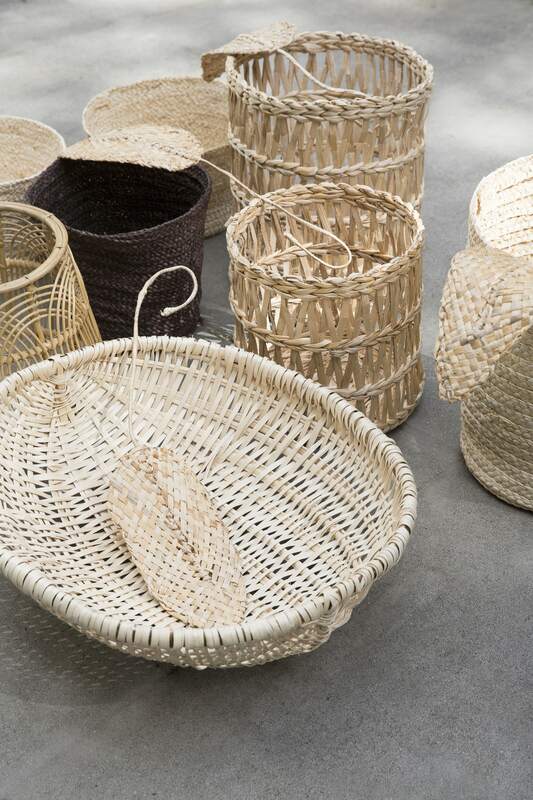 From out-of-the-box workshops to awesome new interior finds, Hutspot is the hotspot. 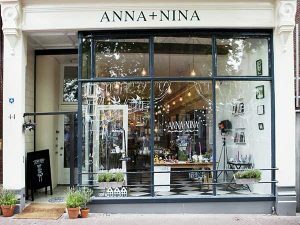 For vintage finds, unique home accessories and the right botanical wannahaves, you’re safe heading off to one of the Anna + Nina shops in Amsterdam. Quirky candle holders, retro plates, golden clutches, but also delicate earrings, comfy pajamas and funny birthday cards – this lifestyle and concept store is the perfect place to surprise yourself or your friends with a gift. Anna de Lanoy Meijer and Nina Poot set up Anna + Nina in 2012 and have built it up from a jewelry promotion agency to a brand in its own right. 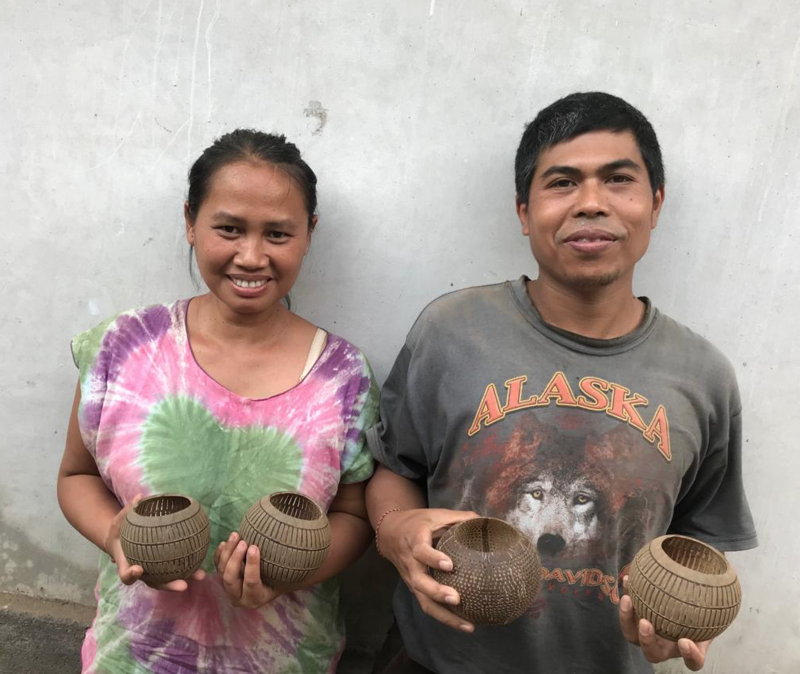 Next to selling products from other jewelry, fashion and interior labels, they also sell their own brand – which reflects their nomad-like travels to India and Bali, where their jewelry and home brands are made. Amsterdam is full of culture and places to meet it. Foam Photography Museum, located at the Keizersgracht, is one of them. In here, everything revolves around the wonderful art of photography. Exhibitions, debates, educational projects, you’ll find it all at Foam. They discover, develop, publish and stimulate, always scouting and presenting young, emerging talent. This international organization has its own magazine, and each year, Foam organizes a Talent Call, an international search for exceptionally talented photographers under the age of 35. At the museum, you’ll find a book shop, library, in-house gallery and café, the right place to find inspiration that’ll make you think – the next time you’re about to take a selfie. Life in Amsterdam also happens underground. The Vondelbunker, right at the heart of the Vondelpark, is the perfect example of that. Run by volunteers, this autonomous culture center has attracted the creative and open-minded crowds since 2011, running an unruly and dynamic cultural program. It’s always open to everyone , organizing electronic music parties and live music events, but also exhibitions, party fitness, film nights and much, much more. Though their parties and happenings have free entry, your help as a volunteer is much appreciated! So is Amsterdam an urban jungle? It is, and it could be, if you’d ask Mila and Emma, the owners of Wildernis. Their store, located in the Bilderdijkstraat, is a green haven in the heart of our city. Plant lovers, cacti fanatics and flowergirls will instantly feel at home here, surrounded by a zillion flower pots, plant hangers and many more wannahaves. Next to selling products, they also invite green experts to give workshops and lectures about city gardening, vegetable gardening, house plants, and much more. Can’t keep your plants alive? You will after a workshop at Wildernis. Botanic fanatics, here’s your heaven. Got your own Amsterdam hotspot you’d like to share with us? Leave a comment on our Instagram to let us know!